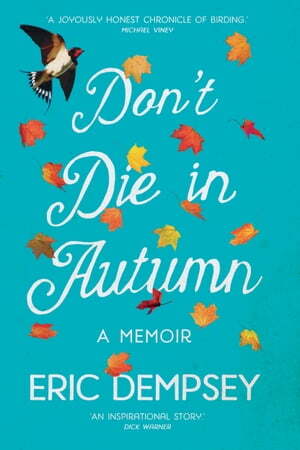 Collins Booksellers - Don't Die in Autumn: The Heartwarming Memoir of Eric Dempsey, Ireland’s Most Loved Birdwatcher by Eric Dempsey, 9780717165780. Buy this book online. Eric Dempsey is mad about birds. In fact, they have changed his whole life. Having once been gainfully employed by a semi-state company in a secure, pensionable job, he gave it all up to dedicate his life to birdwatching. In this remarkable memoir, Eric tells us of his love of nature from his earliest days and how it has influenced him throughout his life, inspiring many adventures. In doing so, he provides a snapshot of growing up in Dublin in the ’60s and ’70s. Peppered with stories that are both hilarious and poignant, such as instructing his parents not to die in autumn (it’s the best time for birdwatching) and going on safari to fulfil the dream of a friend who had passed away, this book will make you laugh, cry, and everything in between. Some people spend all their lives dreaming of following their passion; Eric Dempsey’s memoir reveals a life all the more rewarding for doing so.